At AH Stock Manufacturing Corp., we offer our customers a solution to all of their manufacturing needs, from engineering to finished products. 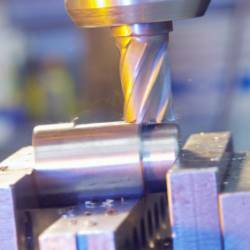 In addition we offer a wide variety of value-added services in our manufacturing process, including: drilling, tapping, counter bore, reaming, milling, turning, counter sinking, laser cutting, shearing, press brakes, painting, and more. We have the ability able to machine steel, aluminum, stainless steel, most alloy steels, titanium, most plastics, and more!